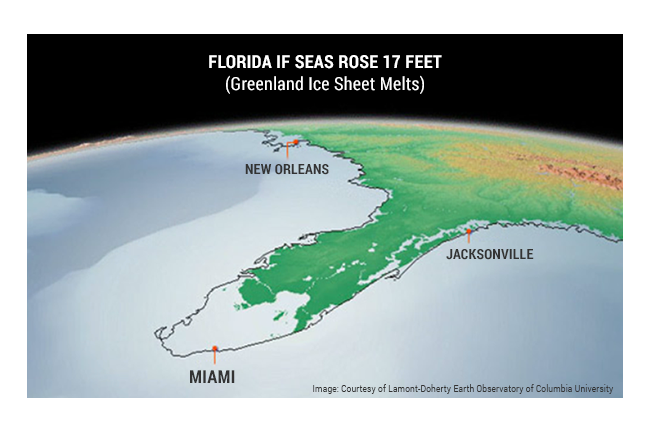 If the entire Greenland Ice Sheet melted, sea-level rise would be 23 feet (7 meters) – more than enough to submerge Miami, New York City, and major population centers in India and southeast China. The good news is that, as a result of recent financial innovations, our investment choices can help reduce the risks of abrupt and irreversible climate change. Join over 50,000 investors who — on a global scale — have pledged to divert their capital from fossil fuels to more climate-resilient alternatives.